The Red Stripe Pacer is Dijjie’s signature baby Onesie Romper Suit. It’s a timelessly cool look designed in England and massively popular with Japanese, German and American Mothers wanting their boys to look cool, different, but remain practical. 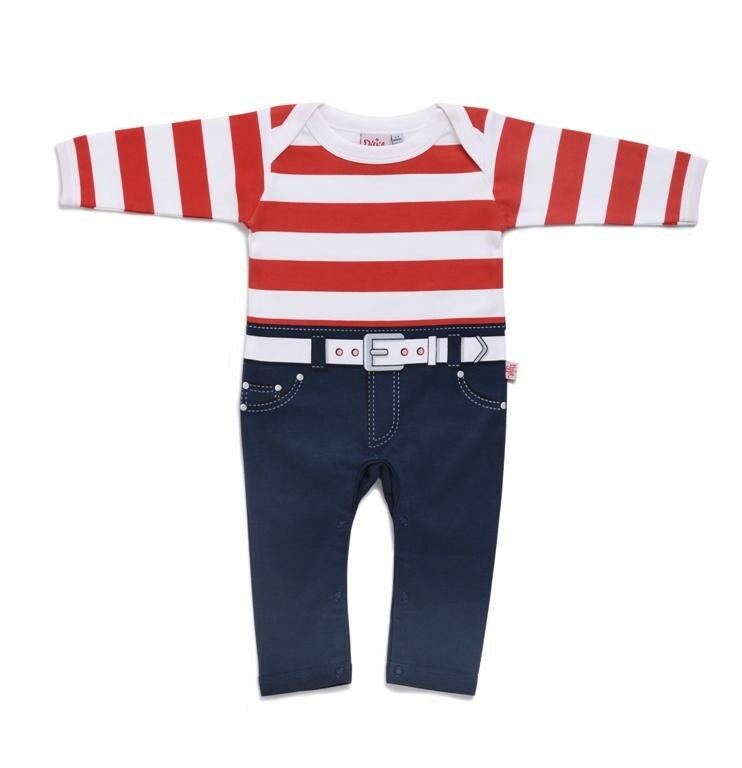 The Nu Wave Pacer is a cool Baby Onesie outfit that brings a clean fresh look of red and white stripe top, dark jeans with embossed stand out stitching, and white belt. Your baby is priceless & Dijjie prides itself on quality. When you buy Dijjie you buy quality. The Nu Wave Pacer is made from soft 100% cotton which is 220GSM.